Make a wonderful gift with this hamper. 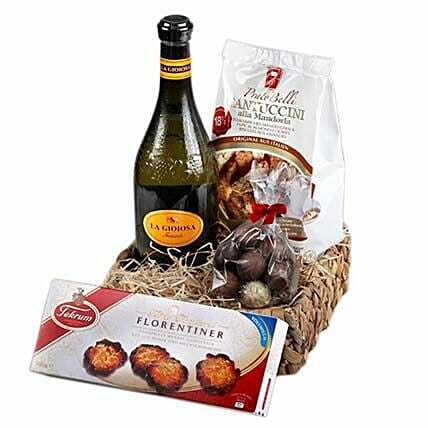 The hamper contains 1 bottle of 0,75l La Giogiosa, a mix of Truffel chocolates 125g, a package of Florentiner cookies 100g, a package of Cantuccini 250g. The delivery takes place in a break-proof box.